In 1823, Enoch Jenney bought part of the old Kempton farm. Five years later, the town bought one acre (now the north side of the cemetery) from Jenney for $75 for use as a public burial ground. Jenney retained the land to the south, known as the E. B. Jenney Yard, and it was established as a private burial ground in 1832. Sixteen men purchased burial lots there adjacent to the town burial ground. Between 1832 and the early 1880s, sixty-five more lots were added, enlarging the private part of the ground to a total area of about an acre. Throughout the nineteenth century, people were buried on both sides of the cemetery. As early as the 1880s, complaints were made about the condition of the cemetery. It became overgrown; vandalism was a recurring problem; stones fell over and were broken. In response, the Fairhaven Improvement Association began taking care of the property in 1882, raising money “to give all the lots in the cemetery equal care with the income of a general fund.” The town appropriated money from time to time for various improvements, and town employees assisted with construction and maintenance. 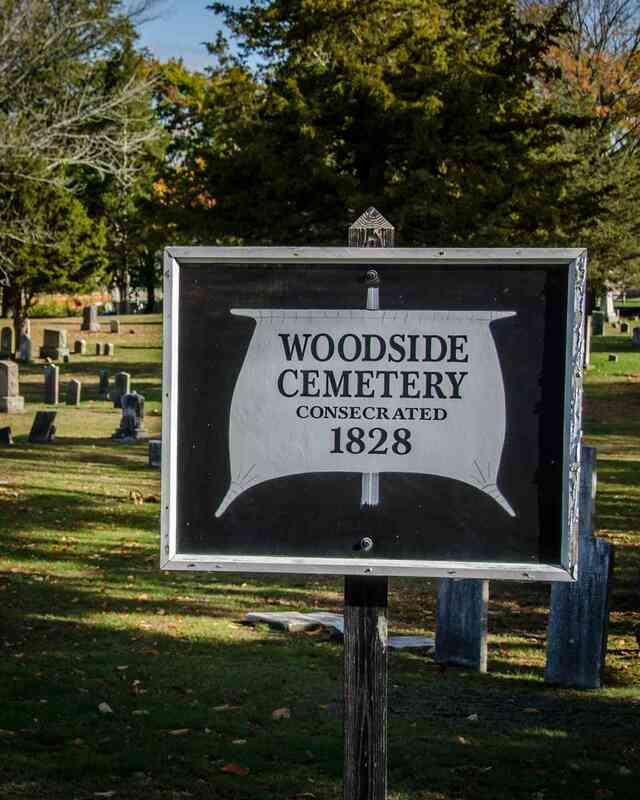 In the mid-twentieth century, the town took over the care of both sides of the cemetery. In 2011, with funds from the Community Preservation Committee, a ground-penetrating radar study determined that the town’s portion of the cemetery contained approximately 300 sites, with 240 burials.